A young mum was horrified when a professional photography company edited out her toddler’s BIRTHMARK without asking her. Lauren Holsten, 20, took 18 month-old Lexi to have her photo taken wearing vintage clothing after spotting a stand at her local shopping centre. Two weeks later she picked up the images – a big one and smaller one together costing £46 – and realised they had been altered. 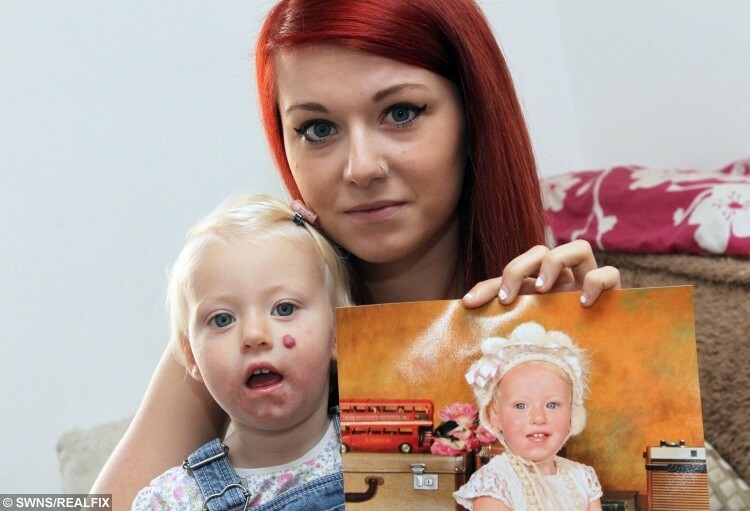 Her daughter’s distinctive blemish – a strawberry naevus mark on her left cheek – had been completely removed. Lauren returned to the shopping centre with Lexi’s dad Dylan Hudson, 20, a baker, and questioned a woman from Domingo Portrait Services. She claims the company refused to apologise or give her her money back although she has now been sent the original unaltered photos. The photography company yesterday tried to blame Lauren – saying she should have pointed out the birthmark and asked for it not to be removed from the photo. But they admitted they have now changed their policy and will check with all parents what they want to do about any natural marks on their children. The company meanwhile has been told it can no longer operate from the mall in Sittingbourne, Kent. She explained: “I often have her pictures taken by another firm so I’ve got photos to look back on of her growing up, but I thought I would give this company ago. “On the day they were taken nothing was mentioned about her birthmark and I didn’t mention it either because to me its normal. “When I collected them I was with a friend and Lexi’s dad. The woman was rushing me and Lexi was running around so I only had a quick glimpse at them. “I could see it had been airbrushed out and it hadn’t been done very well. It was the same colour as her skin but you could still see the outline. “I was really upset and I cried. I’ve never experienced anything like that. The other company had never asked about it and never offered to airbrush it out. She added: “When I spoke to the woman I stressed how upset and disgusted I was that a company would do that. “She basically said she thought it was a ‘cut’ which it quite obviously it isn’t. She said they edit all cuts out. She was very rude and didn’t apologise. 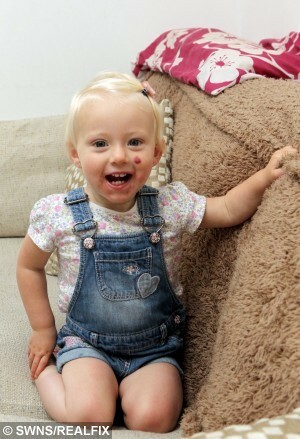 Lauren, of Sittingbourne, said it was important the birthmark was not hidden because she wants Lexi to feel normal as she grows up. She said: “It’s not that big to be fair but you can notice it. It’s about the size of a five pence piece and it’s quite raised too. A lot of people look at it. But she added: “We did not know it was a birthmark first of all. “We airbrush the pictures. Any customers who don’t want their picture airbrushing, they let us know. “The photographer didn’t know it was a birthmark. If she had told the photographer before he did the picture that it was a birth mark and she didn’t want it removed at all then he wouldn’t have airbrushed it. 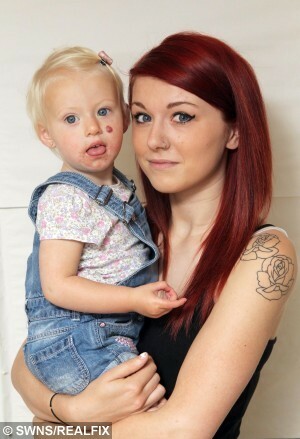 “She should have told the photographer it was a birthmark and she didn’t want it airbrushed. “We sent the original picture to the management and the lady should have received it by now. The issue has been resolved. Domingo Portrait Services Ltd, which has recently started, is owned by Dominic Domingo and Ms Icuah said he was out of the country. A spokesman for The Forum said: “Following an investigation into the discrepancy between one of our shoppers and an external photography concession, I can confirm that the situation has been resolved. A strawberry naevus is a red birthmark which typically fades when a child is around nine years old. 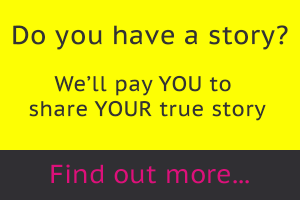 Next article » She was 16 and he was a Chippendale. Was their relationship doomed from the start?